The Universal Pistol Holster is a versatile adaptable holster that fully adjusts to accommodate a wide variety of large and small frame pistols. Adjustment is simple and quick by way of Velcro closure. Side arms are secured firmly by way of a molded composite internal housing. The weapon is released by means of a push down thumb release. 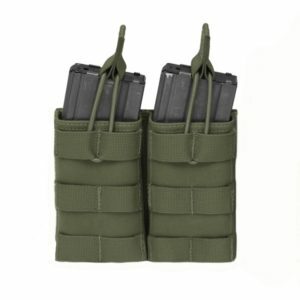 The rear of the holster has 3 rows of MOLLE webbing with 2 MOLLE arms, which allows it to be attached to a diverse range of Warrior Assault Systems gear such as the PLB belt, Frag Belts, Cobra belts and Rigger Belts. The UPH’s MOLLE also allows it to be attached to armor carriers and chest rigs such as the 901. The Universal Pistol Holster is available in Right & Left Handed Variations.